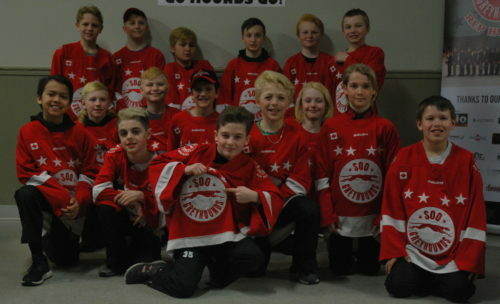 Following a recent title tilt triumph at the NOHA Tournament of Champions, the Soo Major Atom AA Jr. Greyhounds will have the distinction of representing the region at the OHF championship event, which is slated for April 12-14 in Belle River. Major Atom AA Jr. Greyhound players (all have 2008 birth dates) include goalies Dalton Hoornstra and Payton Melchiorre, defensemen Hayden Joseph, Cameron Kontulainen, Owen Sanderson, Carter Kucher, Luca Blonda and Colton Huckson and forwards Espen Escasa, Aiden Atkinson, Cole Wreggitt, Gavin Killoran, Brock Chitaroni, Danny MacDonald, Evan Headrick, Nikolas Rossetto and Nathan Dupuis. The Major Atom AA Jr. Greyounds are coached by Terry Chitaroni. David Doucette is the associate coach, while Michael Caruso, Dave Headrick, Nathan Hebert and Chris Huckson are assistants. James Sanderson is the trainer and the manager is Ray Escasa. As the head coach, the 46-year old Chitaroni has an impressive hockey background from his playing days. Now working and living in Sault Ste. Marie, Chitaroni is at the helm of the Atom AA Majors. He talked to Hockey News North about the direction the team opted to take. Chitaroni then referred to the fact that, “throughout the season, the staff realized we were coaching a special group of kids who were willing to work as individuals and most importantly as a team. 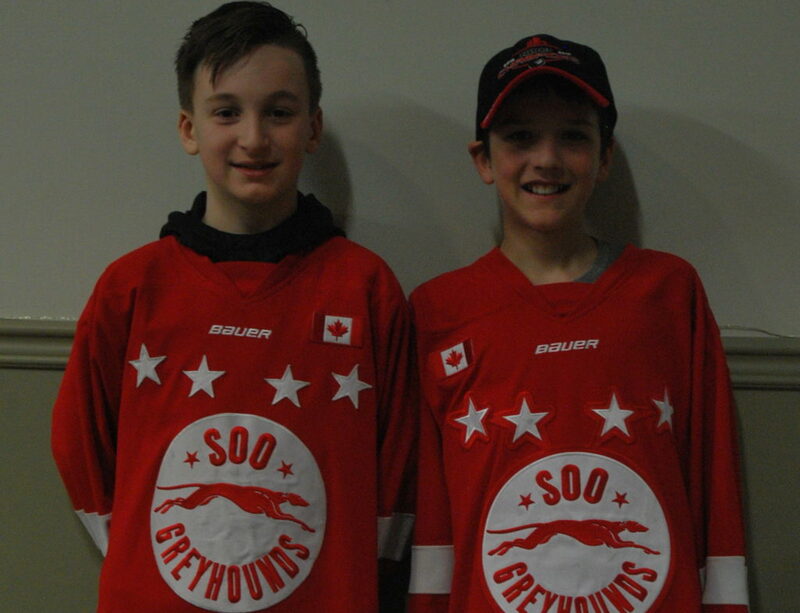 “As we head to the OHFs, the team will proudly wear the Soo Greyhound logo,” Chitaroni concluded.